Get best & effective regular checkups in Aurangabad at lowest price. Indus Health Plus, India's leading healthcare provider brings to you the best medical check-up packages in Aurangabad including full body checkup, medical health checkup and whole body checkup for the entire family. Many of us neglect the need for master health checkup owing to our hectic work schedule. However, we should realize that prevention of diseases is both effective and less cheaper than treatment. 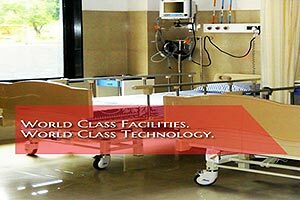 Indus Health Plus is a proud partner of reputed hospitals in Aurangabad with a vast experience of 17 years in medical services. Book a family medical check-ups anywhere across 78+ cities in India and enjoy the privileges of a top-class health check-up service with Indus Health Plus. Book an appointment for comprehensive health check-ups at the center of your choice in Aurangabad and get upto 40% off on market price with same day reports. A preventive health check up is your priority right now? Don't hesitate or wait to get the best affordable health check-up in Aurangabad from Indus Health Plus.